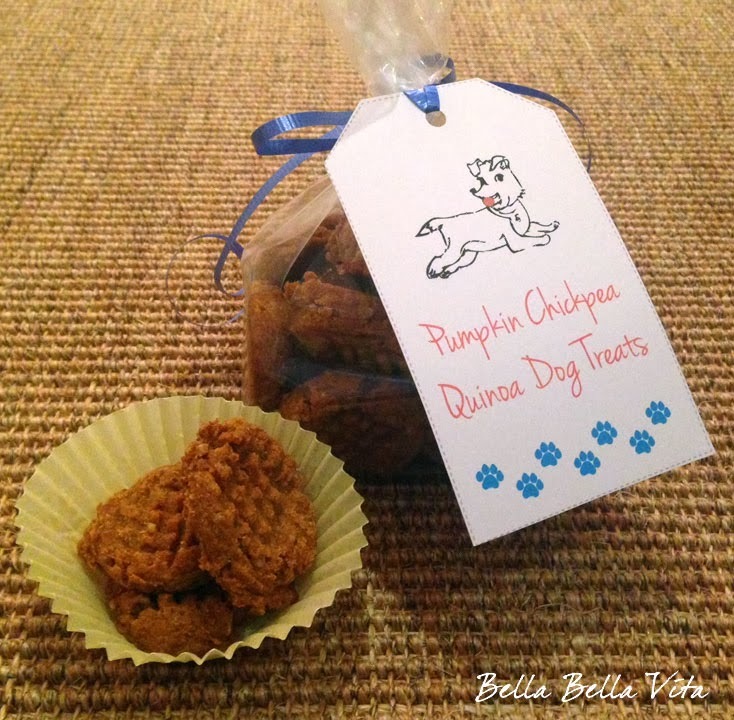 Sharing a new dog treat recipe I created yesterday - Pumpkin Chickpea Quinoa Dog Treats. They are gluten-free and packed with lots of vitamins, fiber and protein. I usually have a container of cooked quinoa in my fridge and thought it would make a healthy addition to these treats. The quinoa plus the chickpea flour give them a power boost of protein and make them easier to digest. They're soft and chewy and it's easy to pinch off a piece if you want to use them for training. Keep in mind they have a lot of fiber in them, so don't give too many at once! You can also substitute the garbanzo bean flour with oat flour. Do they like the quinoa? The quinoa has a neutral taste and acts as more of a base (instead of flour). It's a great substitution and my dogs love these treats!